King Company Publishing, 9780990308195, 226pp. The history of the AIDS epidemic has largely been told from the perspective of gay men: their losses, struggles and contributions. But what about the women - in particular, straight women? Not just Elizabeth Taylor and Princess Diana, but thousands whose accomplishments have never been recognized? For almost forty years, straight women have have been affected by HIV/AIDS. They have fought for the right to be included in clinical trials and qualify for disability benefits. They have raised money and awareness. They have devoted their lives to caregiving, medical research and advocacy. But until now, their stories have been ignored or forgotten, even in accounts of women's history. 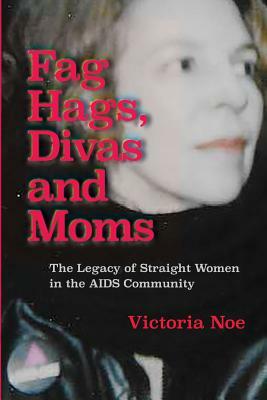 Drawing on personal interviews and archival research, Fag Hags, Divas and Moms: The Legacy of Straight Women in the AIDS Community is the first book to share the stories of these women around the world, throughout the epidemic. Some of the names are familiar; most are not. But all have left a lasting impact on the fight against a virus that has killed over 40 million people around the world, half of them women. Author, speaker and activist Victoria Noe assures their place in women's history, for their determination to educate and advocate, to end the epidemic once and for all.